The Royal Parks charity is hosting a ‘bioblitz’ – a one day nature survey – in Hyde Park to find out how many different species are living in the park so our experts can help better protect them. The event, hosted at Hyde Park’s LookOut Discovery Centre, on Sunday 29th April 2018 in partnership with the Natural History Museum, invites Londoners and visitors to get involved by helping to showcase the nature in our parks. Nature lovers are encouraged to download the iNaturalist app* to photograph and record any wildlife they see in the park. The event begins at 10:30am and is suitable for people of all ages and families. A team of dedicated scientists, naturalists and volunteers will be on hand to help people identify the insects, plants, birds and other species that they find – and to log these details to build up a picture of the biodiversity in Hyde Park. And there will also be a series of activities throughout the day including different led walks focusing on trees, beetles, wasps, and lichens. The bioblitz day is part of a series of activities being held in the capital to record wildlife in the city as part of the City Nature Challenge, a global contest which sees London compete with more than 60 cities worldwide to find and record wildlife between 27th to 30th April 2018. Bristol and Plymouth are also representing the UK in this friendly competition. The City Nature Challenge is organized on a global scale by the Natural History Museum of Los Angeles County and the California Academy of Sciences. Information gathered from the Hyde Park bioblitz will contribute to the conservation work the charity is doing through its Mission: Invertebrate project, which aims to find out more about the diversity of parkland invertebrates – all animals without a backbone - in order to create better habitats for wildlife. “We have a fantastic team of volunteers who work with our experts throughout the year to find out more about the wildlife in our parks, but there’s so much more we want to discover. 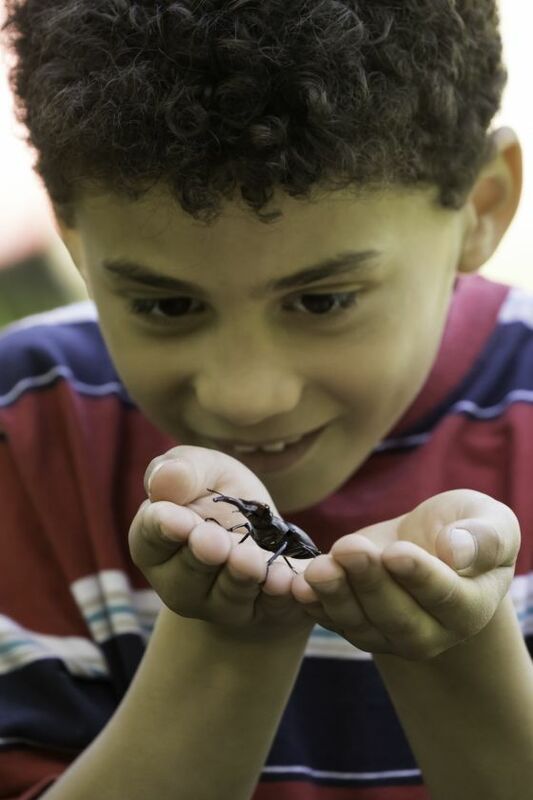 The Royal Parks’ Mission: Invertebrate project, has received over £1M to date from players of People’s Postcode Lottery to raise awareness and protect parkland invertebrates.